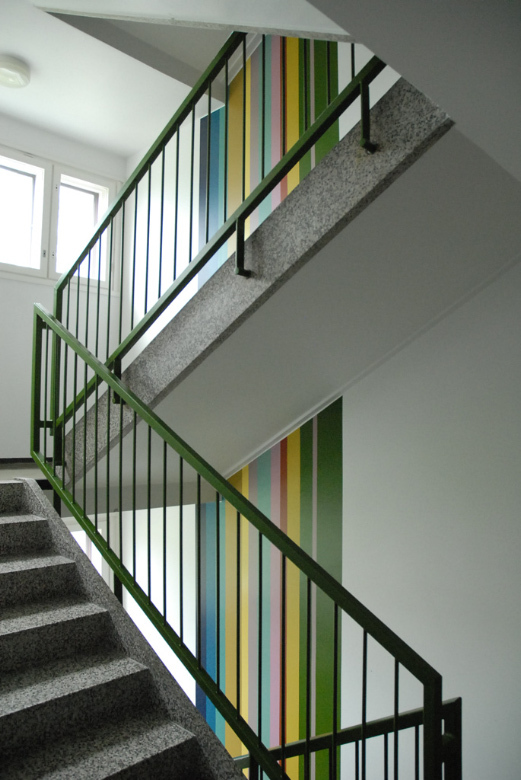 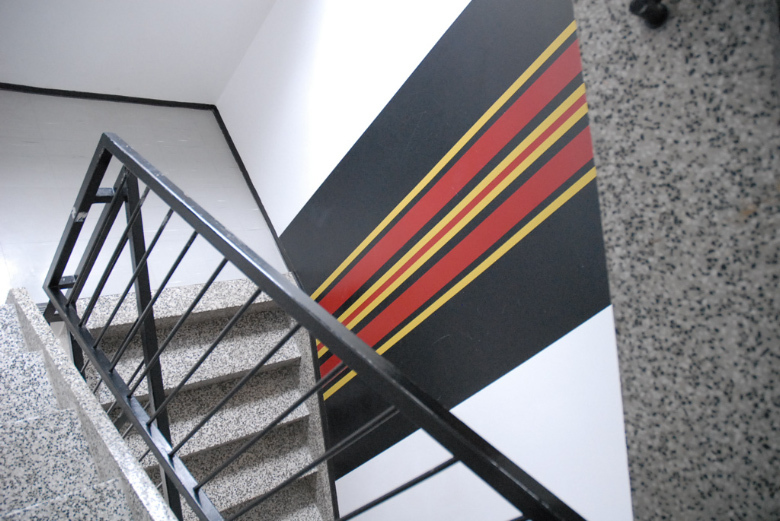 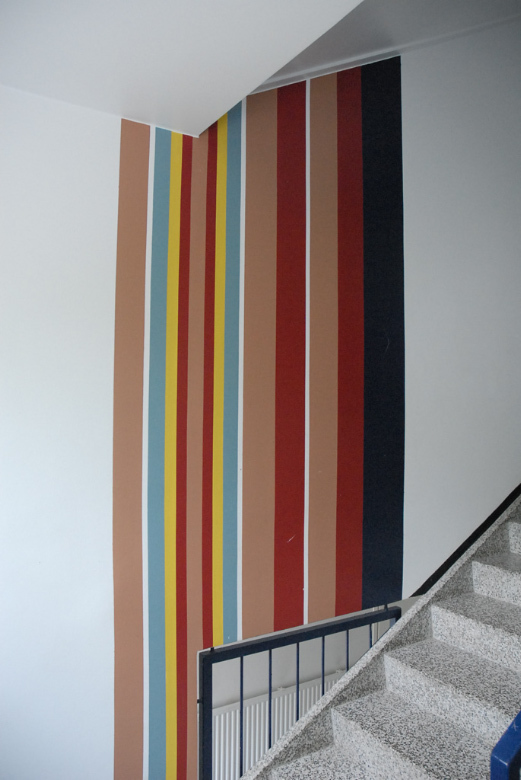 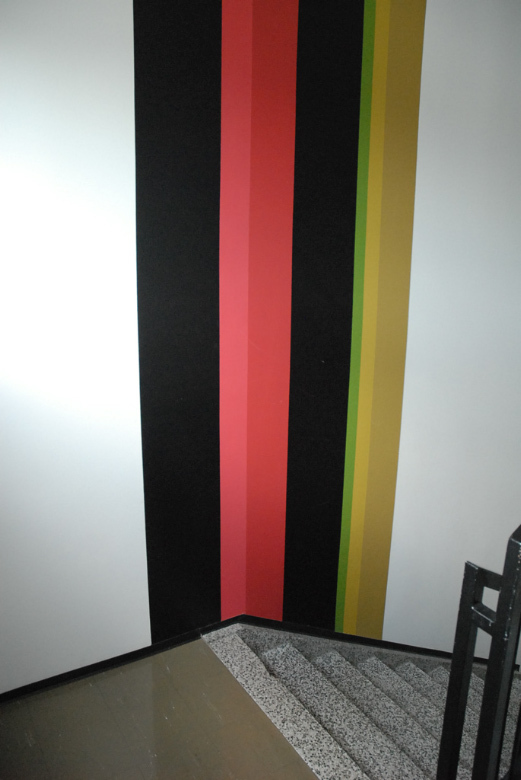 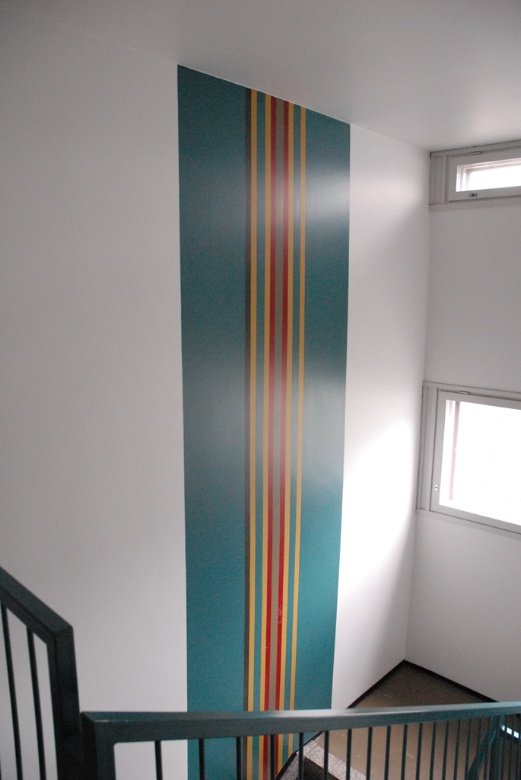 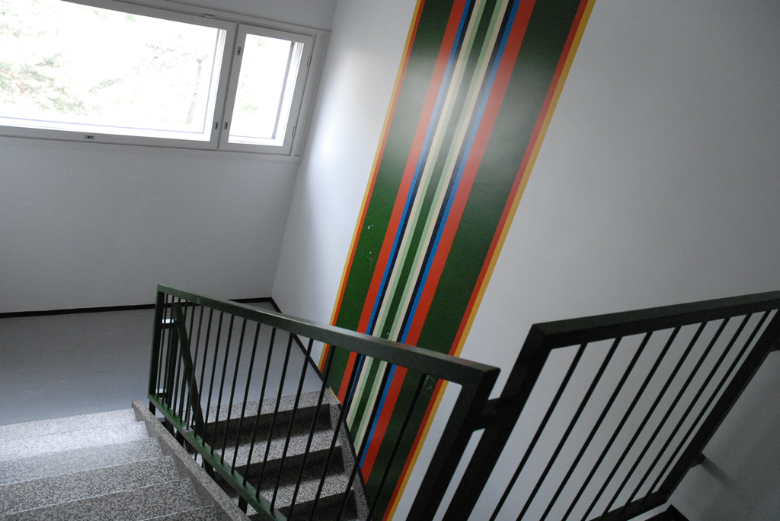 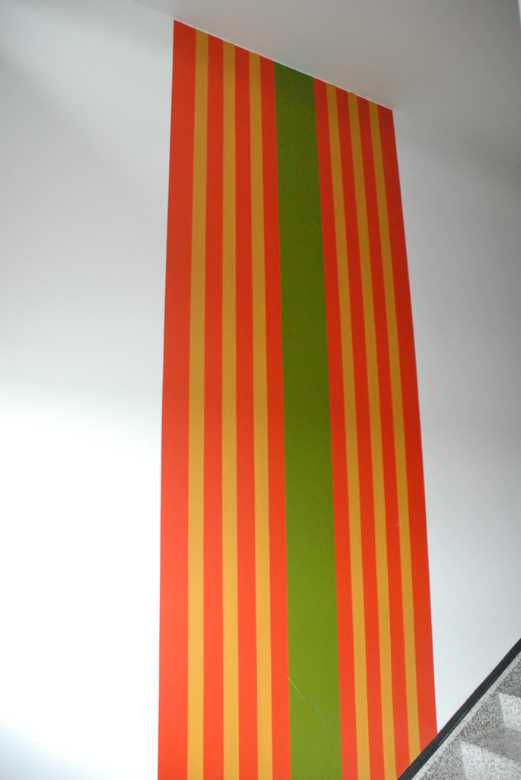 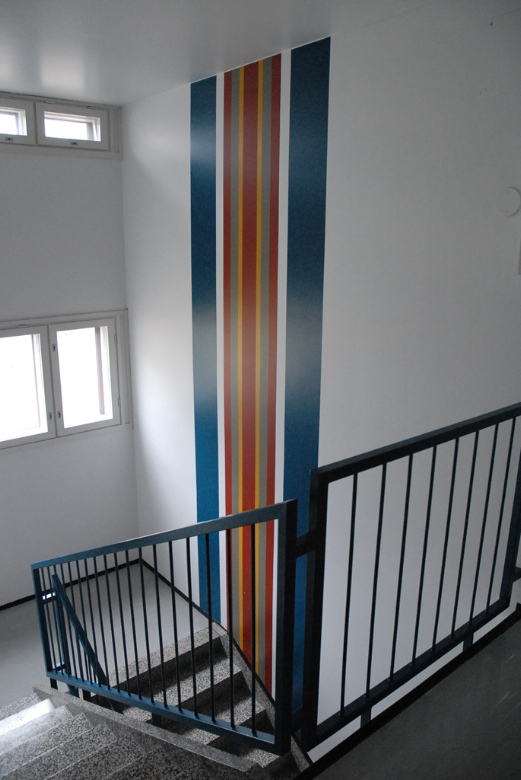 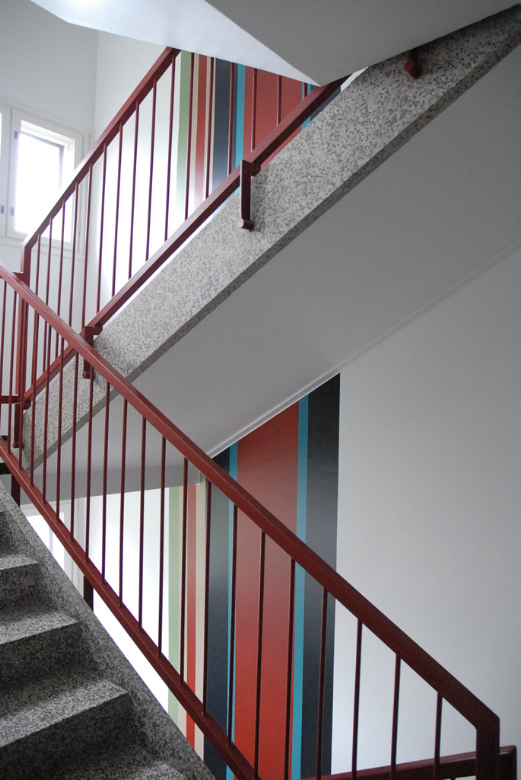 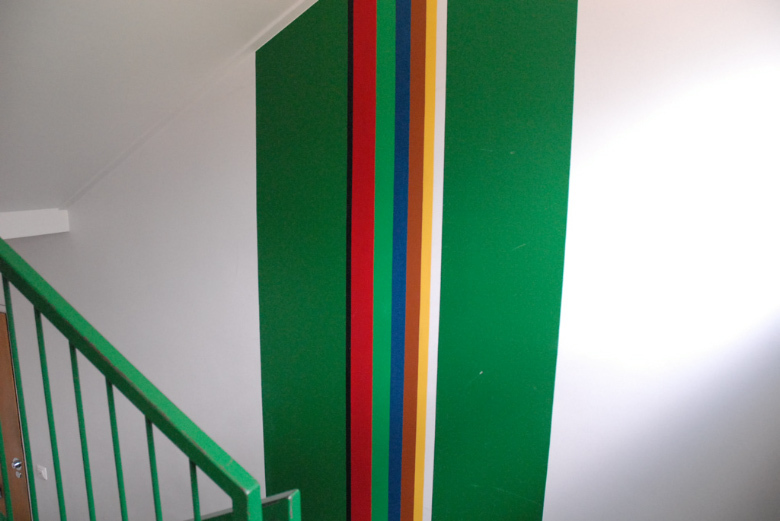 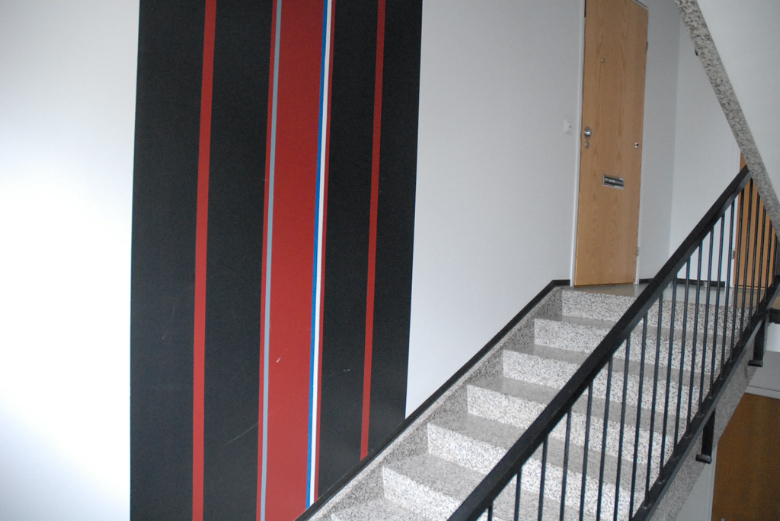 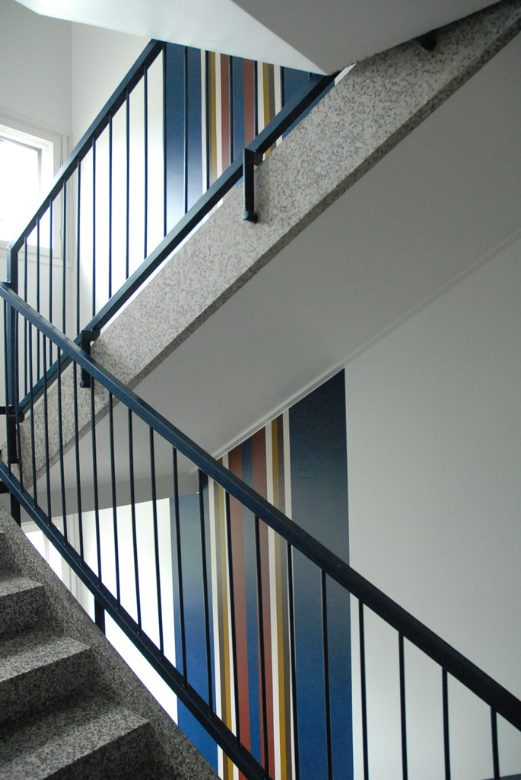 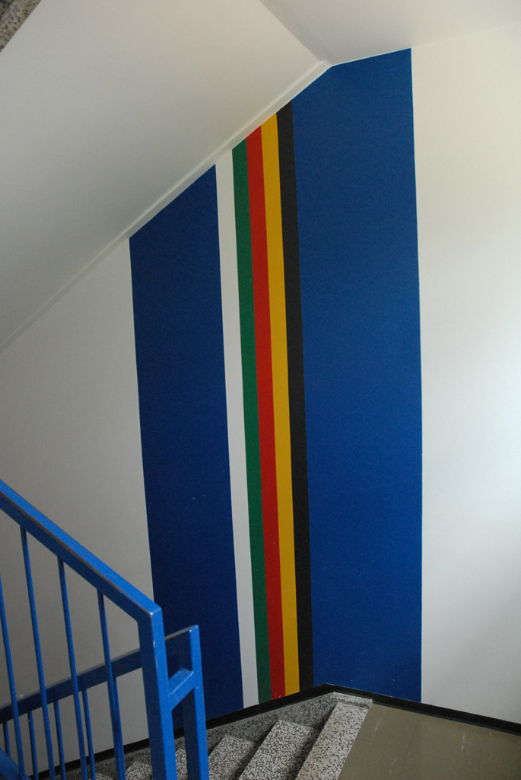 A project of 19 wall paintings in stairways in Laajasalo suburb, Helsinki. 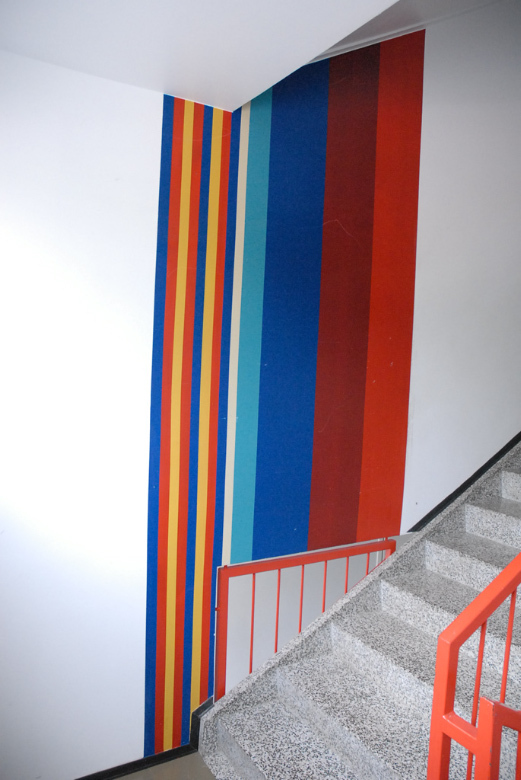 Each painting begins from ground floor and continues up to the sixth floor. 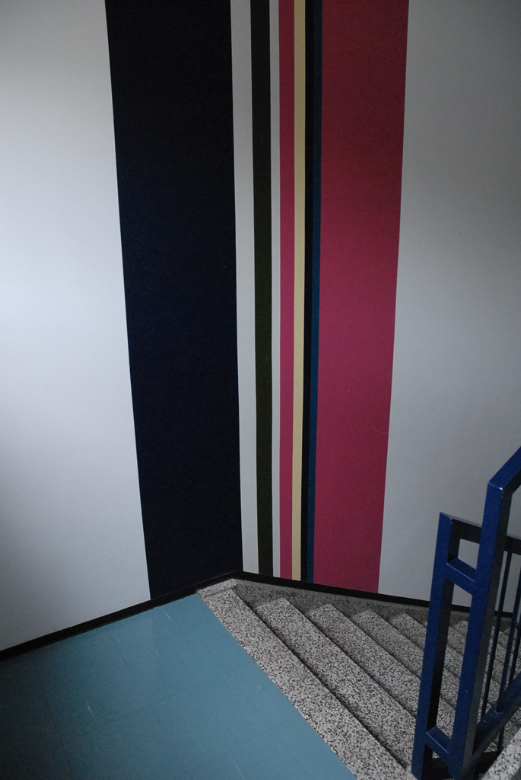 The colour combinations derive from old Finnish national costumes. 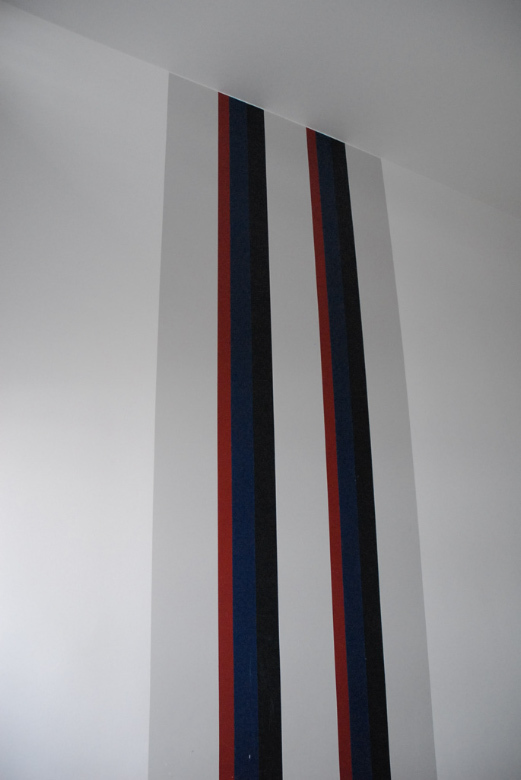 As soon as the viewer recognizes any of the 19 cloth pattern the concept of an abstract painting changes. 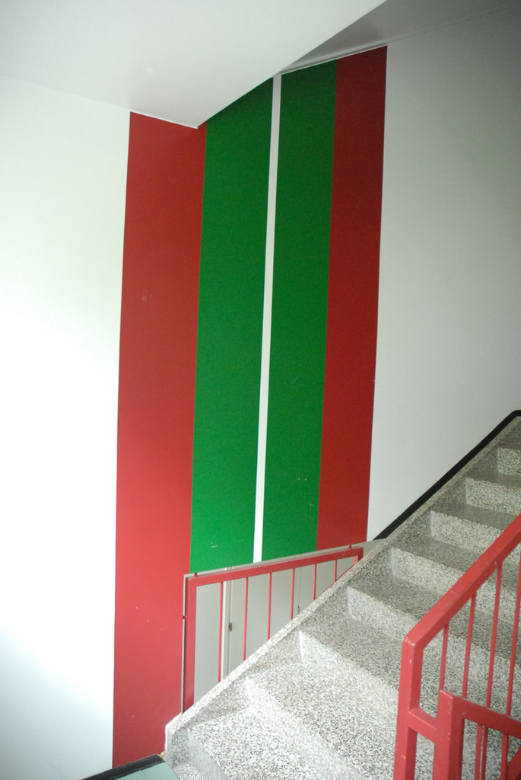 As identified the paintings turn to indicate that they have their strong local meanings. 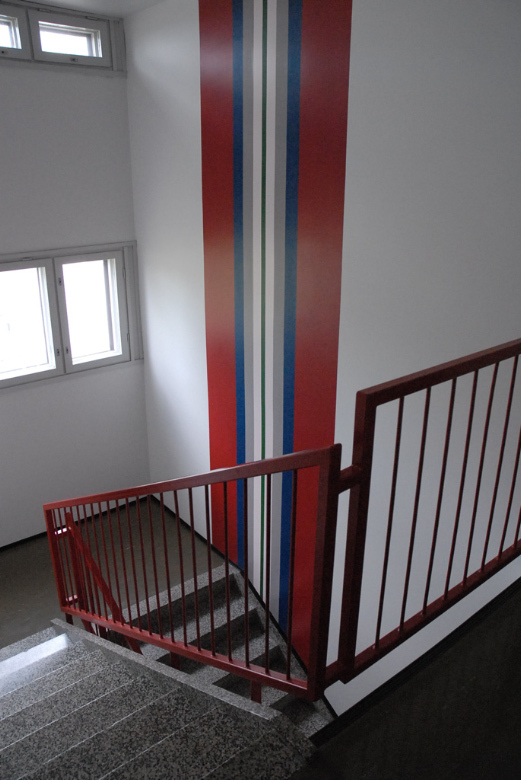 Finland met a heavy structural change in the 60 `s. People left countryside and moved to the metropolitan area to get work. 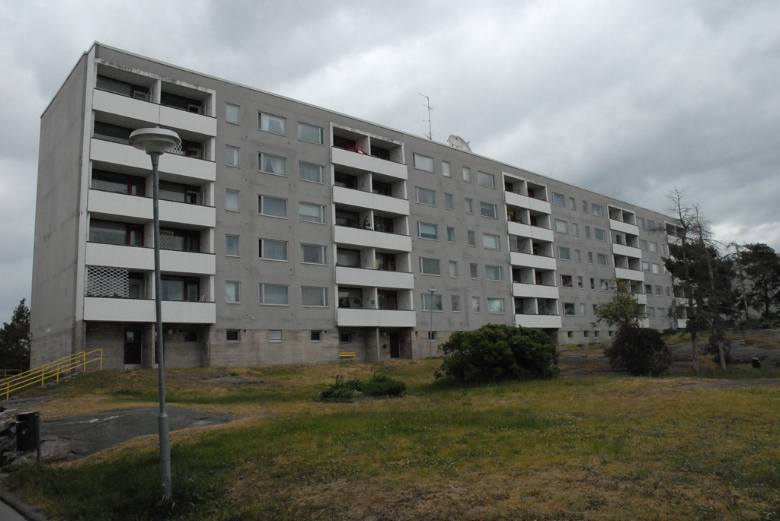 Laajasalo was one of the many housing estates which was built for the new dwellers. 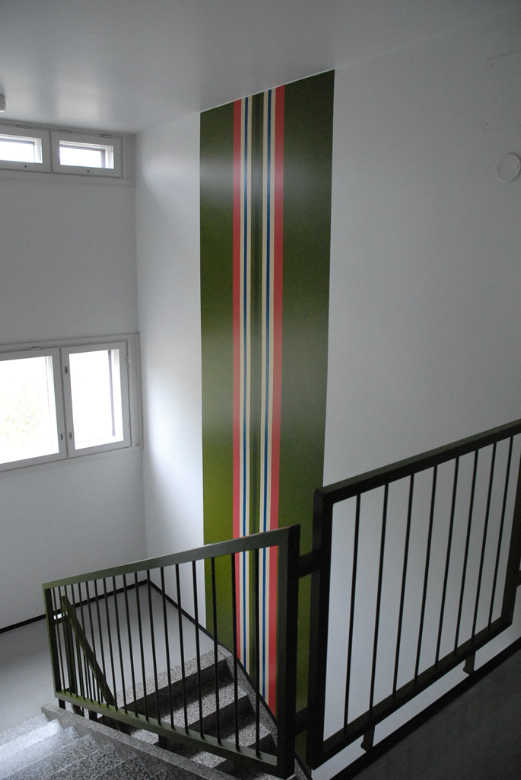 The work was ordered by Helsinki City Housing Department.